The reviews are in, and we are completely overwhelmed by the support we have received from the users at G2 Crowd. 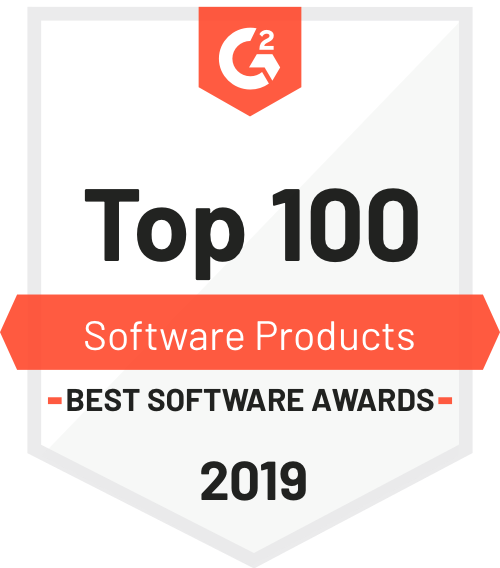 Following our recent #1 ranking in G2 Crowd’s Best Relationship category, we’ve also been ranked in the top ten for both G2 Crowd's Top 100 Software Products 2019 and Top 50 Products for Small Business 2019! It’s exciting to know that we are helping enterprise level companies and large agencies, as well as small startups and individuals to grow their businesses through powerful digital experiences. G2 Crowd is the world’s leading business solution review platform, and their Best Software Awards provide the definitive ranking of the best software companies and products worldwide. 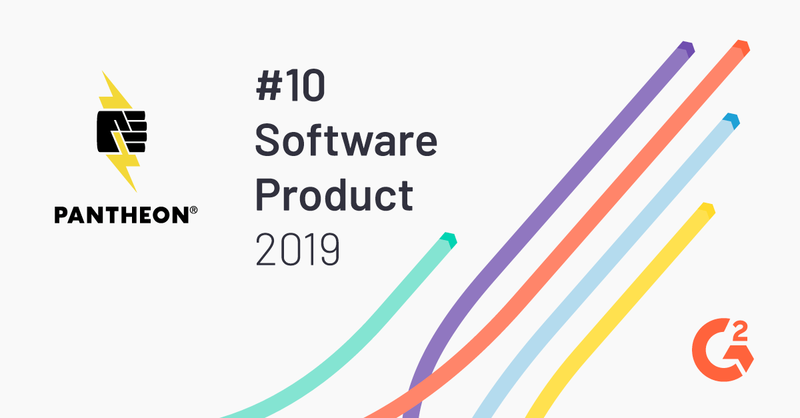 The Top 100 Software Products 2019 list was compiled using data collected from over 270,000 authentic, vetted customer reviews submitted between January 1st and December 31st, 2018. Users based their reviews on experiences and concerns, such as usability, support, and ROI. Our platform was built from the ground up with agile web teams in mind. We provide the tools and flexibility to experiment and iterate quickly so that both developers and marketers can work together to build better, more reliable websites. How does Pantheon help web teams be more agile? With continuously changing customer needs, the need for agile WebOps (website operations) is now stronger than ever before, and Pantheon helps teams make their ambitious aspirations a reality. Our platform allows teams to experiment with confidence; Thanks to our Dev, Test, and Live environments, there’s no need to fear costly downtime when experimenting or launching new features. Our unrivaled speed, uptime, scalability, and cutting-edge developer tools make Pantheon’s high performance hosting platform the best place to host Drupal and WordPress sites. With over 200,000 sites hosted on Pantheon, both big and small, our platform is trusted by thousands of agile marketing and development teams around the world. For everyone from local businesses and independent bloggers, to enterprise-level companies and high-traffic sites, we have the tools to drive your success on the web. If you’re interested in trying our platform out for yourself, you can start developing your site for free and then select a paid site plan when you’re ready to launch. And as shown by our #1 G2 Crowd ranking, we’ll be there to support you every step of the way. [BLOG] How Does Pantheon Help Marketers Become More Agile?